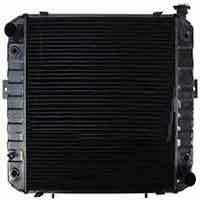 Industry radiator, auto radiator product list KOMATSU - A&S Radiator Co.,Ltd. Komatsu FD135 Forklift Radiator Description: 1.Forklift radiator 2.Brand : Komatsu 3.Good quality 4.Fast delivery time 5.OEM acceptable The picture is just a reference, if you have any interests, please contact us for actual picture. Komatsu FD60 Forklift Radiator Description: 1.Forklift radiator 2.Brand : Komatsu 3.Good quality 4.Fast delivery time 5.OEM acceptable The picture is just a reference, if you have any interests, please contact us for actual picture.